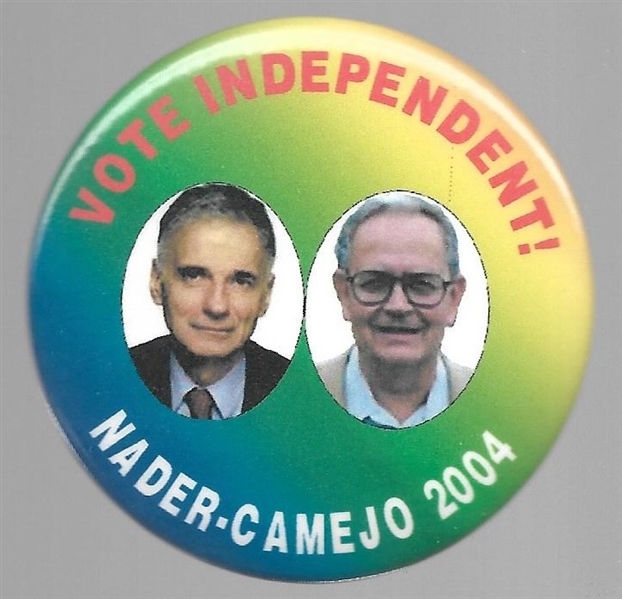 A colorful Ralph Nader third party jugate from 2004. This 2 1/4 inch celluloid pictures Nader with running mate Peter Camejo. Excellent condition.